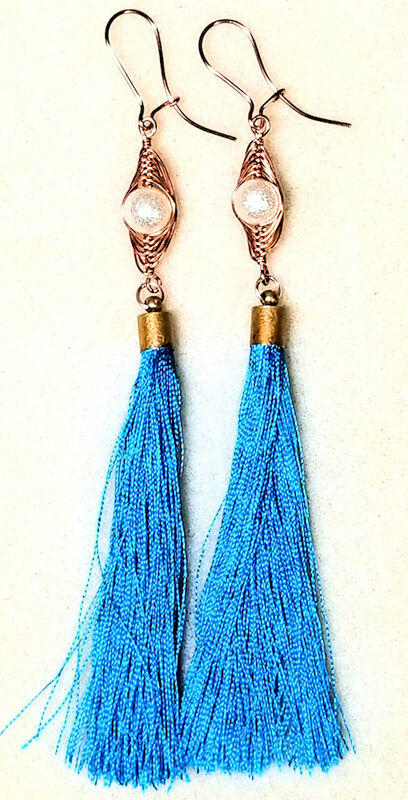 How to make a tassel – this video has some instructions and insights into the fun jewelry art of tassel-making! I’ve seen a lot of jewelry lately featuring tassels – especially silk. Sooooo, I got some silk, rounded up some embroidery floss and embarked on the tassel-making journey. Then, I thought, why stop there? What about some other beading threads I had laying around — how would they work? Well, I pulled out some of those and tried them out — with various success, as you will see, LOL. Why make a tassel? I guess the question is why not make some? I’ll admit, I never quite saw the charm of them, until I realized how comfortable they are for earrings — very lightweight, when made with silk. You can get those shoulder-dusters without pulling down your earlobes. 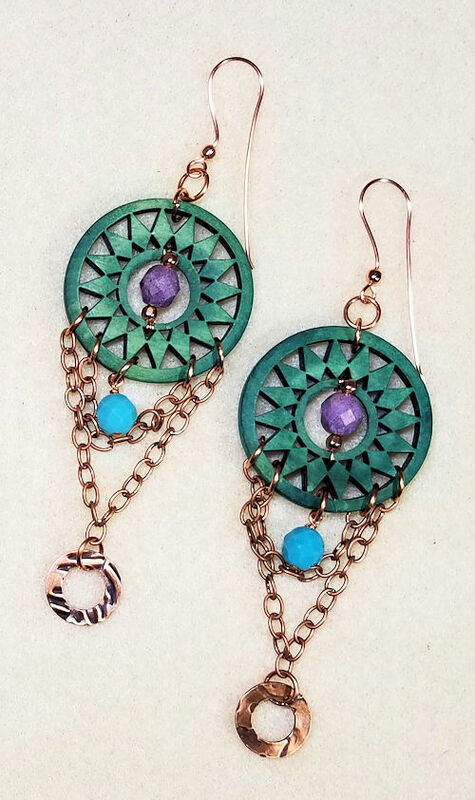 I don’t know about you, but I’m sensitive to heavy earrings; I have a hard time with them, so I gravitate to smaller ones. Well, problem solved! I’ll admit, I mostly use them for jewelry. But in making the video and trying out different kinds of thread, I wondered what else they might be used with. Some obvious items would be chain pulls and edging for lamps. Pillows too — they could use a tassel edging. But what about Christmas tree ornaments? I can see them hanging down, either attached to some regular glass balls, or on their own. Small tassels could be used for key rings, although I’d probably use leather for those. What about adding them to tote bags, either as a stand-alone or maybe all around the edges? And of course there is the option to add a tassel as a “charm” to your handbag. Oh, and I forgot about adding them as accents to your drapes — that is another use that has been in vogue. OK, so here’s the video. And in case you were wondering, the end caps I used were either 4mm (smaller tassles) or 8mm (tassel with the charm). I got a boatload of them from Amazon for a very inexpensive price — like $10 or so. Since they are all the same shape, I’m working on ways to alter them so they become part of the jewelry, instead of just something to hold the tassel. But — that’s a whole other video!